You can MAKE goma-dare?!! I've been looking everywhere for this in the Asian groceries, and couldn't find it. Will definitely have to try this out, as it is sooo good (also great on shredded cabbage, sliced avocado, etc). @UnknownYES you can MAKE goma-dare! 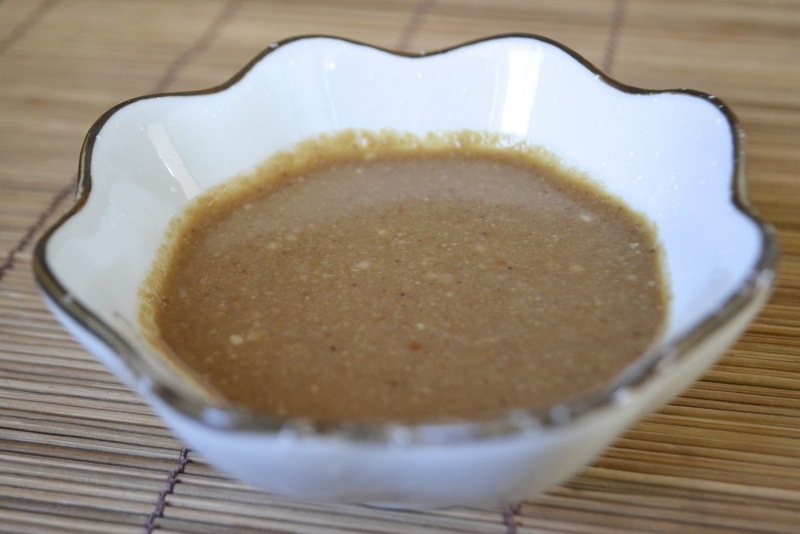 And if you want to turn it into a creamy goma-DORE (Goma Dressing) just put some goma-dare in a jar, add japanese mayonnaise and a touch more vinegar and sugar, and shake it up. I should make a recipe for that too! Thanks for your comment! Can i buy these sauce over the counter? I'm in okinawa, japan. Japanese Rice Vinegar. ^_^ Apple cider vinegar is nice too. If you happen to live near Düsseldorf, you CAN find it in stores there. So we almost always have leftover konbu-dashi after tonkatsu donburi night at our house, so would this be a good use for the leftover dashi? 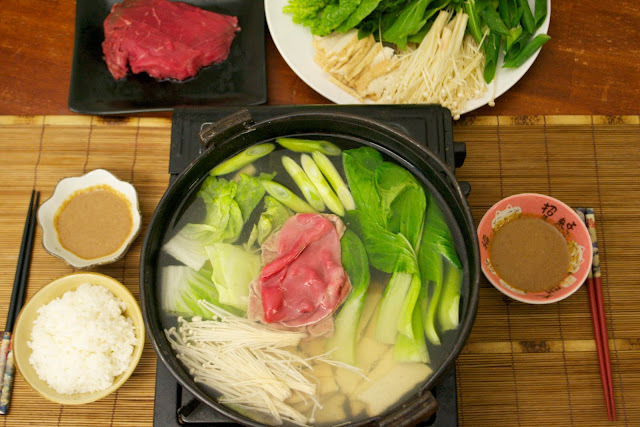 We love to have shabu shabu at home, but here in Maui it is very hard to find goma-dare. Thanks to you, I was able to surprise my wife tonight by making tezukuri goma dare. She is originally from Japan and really enjoyed this. If you have any more recipes like this, she would love to see them. Is this what some would consider "steak sauce" that goes on rice? We have a restaurant called Japanese Village where I live in Canada and they have the most amazing "steak sauce" that goes on rice. I am trying to find a recipe to recreate it. Hi! The steak sauce might have been Tonkatsu sauce, I guess. I think you may have to buy that, but it's a relative of Worcestershire sauce and barbecue sauce. This is only a guess, though! I'm not trying to promote his restaurant as I'm just an American living in Japan for a few years, but this is an excellent restaurant and all his recipes are online. I think you should do a post on wasabi (where it's from, how it's grown, etc) and maybe some recipes or condiments you can make with it. I usually use rice vinegar but apple cider or even white vinegar will work! Hi, I just found your website and I love it! So many recipes I want to try. I tried right now the 1st version of the goma-dare... It came out wonderful. Thank you.